This lens unit integrates two aspherical lenses, two UED lenses and an ED lens. These five special lenses make it possible to clear the stringent LEICA standards for exceptional image quality. High resolution is achieved from the centre of the image to the corners by suppressing sagittal flare. Users can take advantage of this lens to shoot starry skies or night scenes containing illumination, capturing true-to-life images with minimal blurring and distortion all the way to the edges. 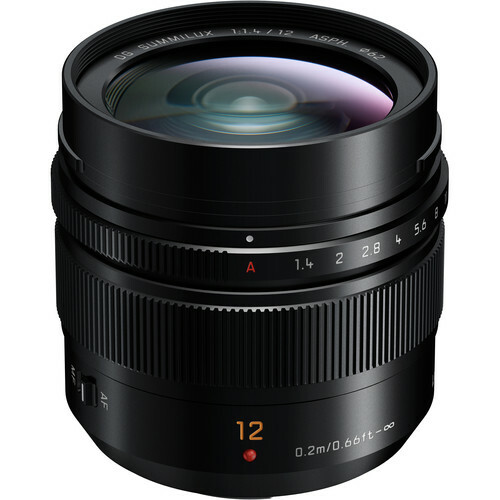 Incorporating an inner focus drive system and a stepping motor, the LEICA DG SUMMILUX 12mm/F1.4 ASPH. is capable of smooth, silent operation together with the camera’s high-speed, high-precision contrast AF system for both photo and video recording. It is also compatible with the sensor drive at a maximum of 240 fps to take full advantage of cameras with high-speed AF. This stunning AF performance is excellent for recording 4K videos, where precise focusing is essential.